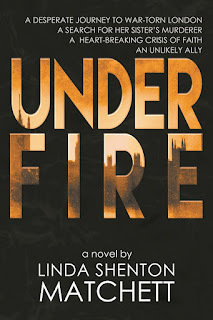 Today is release day for Under Fire, the first in a trilogy about WWII war correspondent/amateur sleuth Ruth Brown. Grab a chair and get to know this spunky, tenacious gal who gets more than she bargains for when her sister, Jane, turns up missing. LM: Hello, ladies, and welcome. Why don't you tell folks a bit about yourselves? Ruth: Thanks for having us. After graduating from college, I got a job with my hometown newspaper as a reporter. Up until Jane's disappearance I mostly wrote for the society pages. A couple of times I managed to stumble on a real story, but I had to fight to hold onto the rights to those. I'm the oldest of three kids. My brother, Chip, is two years younger and in the Army. Jane is two years younger than Chip, and she worked in a factory that was converted to war work. LM: We don't want to give away any spoilers, but what made you think Jane was still alive after the boating accident, even though her body was not recovered? Ruth: As sisters, Jane and I have a special connection. Don't you feel that way about your own sister? LM: As a matter of fact I do. We are very different in many ways, but I can't imagine my life without her. We live far apart and don't get together more than once a year or so, but when we do see each other, we take up right where we left off. Is that how it is with you and Jane? Ruth: Exactly. Jane is artistic, flexible, and a little scatterbrained. I'm more regimented and can't draw a line with a ruler. But we're like two peas in a pod and can often finish each other's sentences. I thought I would feel it in my heart if she were gone. The police declared her dead after two weeks and closed the case. It was up to me to find out what happened. LM: You ended up in England because of your investigation. What was that like? Ruth: Exciting, educational, and nerve-wracking. I had never flown before, so that was an incredible experience. The propellers made lots of noise, but the seats were comfortable, and I met a very nice Englishman who was going home to pick up his grandchildren. When I arrived in London, it was difficult to find my way around because most of the street signs had been taken down in anticipation of an invasion by Germany. I had no idea it is only a little over twenty miles across the Channel at the narrowest part. 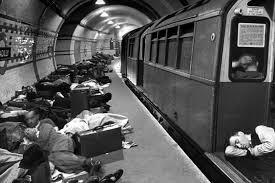 The bombing was hair-raising, and I spent more than a few nights in Tube stations or air raid shelters. LM: You had a run-in or two with the IRA. What was that all about? Ruth: The IRA were quite active during the war. Many saw it as an opportunity to cover up their crimes, and they conducted many underhanded and evil acts. Others collaborated with the Abwehr in an effort to remove Northern Ireland from the UK and unify Ireland. They thought if Hitler won, they would be successful in their efforts. When one of my clues led me to Belfast, I was warned by one of the IRA members, a very creepy man. LM: Some items were difficult to obtain during the war. What was that like? Ruth: It seemed that nearly everything in England was rationed. That's probably not the case, but it felt like that. Food was especially dear in the cities. In the rural areas, everyone had gardens and grew their own vegetables. London doesn't have a lot of "green space" for that, so their food had to be brought in. There were lots of tinned foods, which frankly weren't very good. One of the other journalists told me they hadn't seen an onion in months. Can you imagine? Anyway, because things were difficult to come by, the black market was quite robust. If people had the money, they could get their hands on just about anything. LM: What was it like being one of the few women reporters in London? 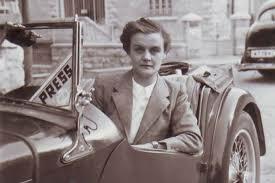 Ruth: In some ways, it was no different than at home where I was the only gal on the payroll at The Gazette. Many of the men believed women shouldn't be allowed to cover the war. Some of the men were condescending, others played pranks on us, and a few were downright hostile and tried to sabotage our work. I decided that my writing would prove my worth, and tried not to let their shenanigans get to me. In the end, it turned out okay. LM: Thanks for stopping by. 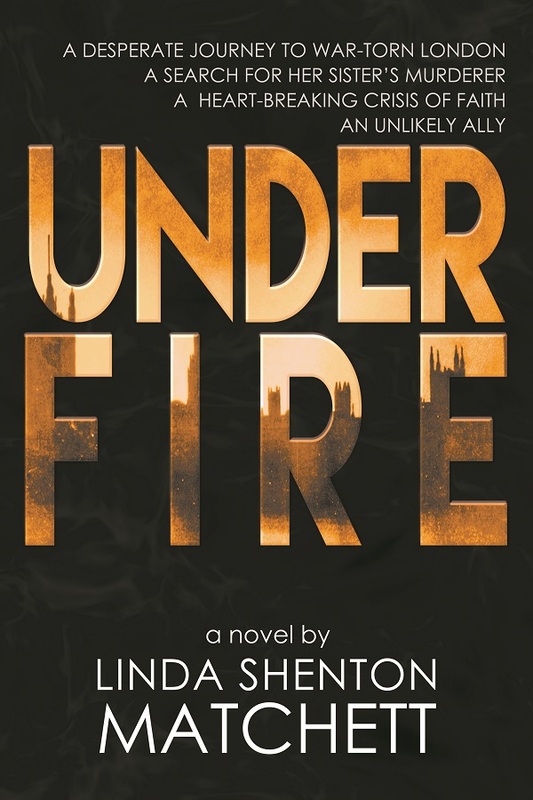 Where can readers find Under Fire?